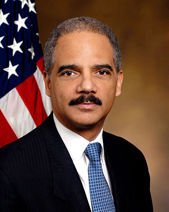 U.S. Attorney General Eric Holder said on Tuesday June 10 that the Justice Department supports a proposal to allow some people serving time in federal prison for nonviolent drug offenses to be eligible for reduced sentences. The U.S. Sentencing Com­mission approved a proposal in April to significantly lower the base offense associated with various drug quantities involved in drug trafficking crimes. The Justice Department wants the revised sentencing guidelines to be retroactive for convicts without significant criminal histories and whose offenses did not include aggravating factors, such as the possession of a dangerous weapon or the use of violence. The commission will vote next month on whether the change, which is estimated to reduce the average sentence by 23 months, should be applied retroactively to those currently incarcerated.